This is a postcard showing James White Cloud "The gro-wo-nung" born May 15, 1840, on the Iowa Indian Mission east of Highland, Kansas. He served in the Union Army as a Scout for Company C of the 14th Kansas Cavalry. 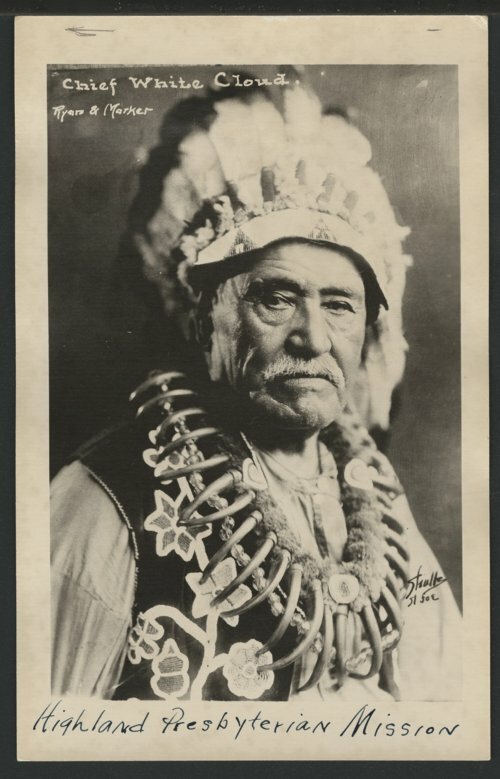 From 1866 until his death on July 16, 1940, he served as Chief of the Iowa Indian Nation.